With large bolts about M36 or more, seizure phenomenon tends to occur on the bolt-thread surfaces when disassembling bolts/nuts. In such the case, a hydraulic torque wrench or large impact wrench is prohibited, because it may result not only the bolt threads are damaged but also the equipment is destroyed in order to disassemble the bolt the worst case. To prevent the above troubles, only the human feeling helps the situation, just hitting continuously some shocks on the nut with a hammer sensitively and tenderly, though being very preimitive. The photograph is at doing M64. 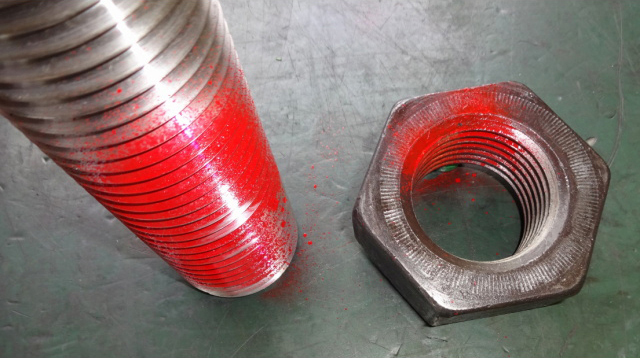 Even when tightening the nut, the seizure phenomenon occurs in the form of "peeling" between the nut surface and the contact surface (flange surface). In this case, the expected bolt tension force does not come out (= Serious incident!). Even once tightened, the tension in the bolt will get reduced gradually. You have to repair the peeled surfaces on the flange with sandpaper or a file before starting the next work, which is a big labor. 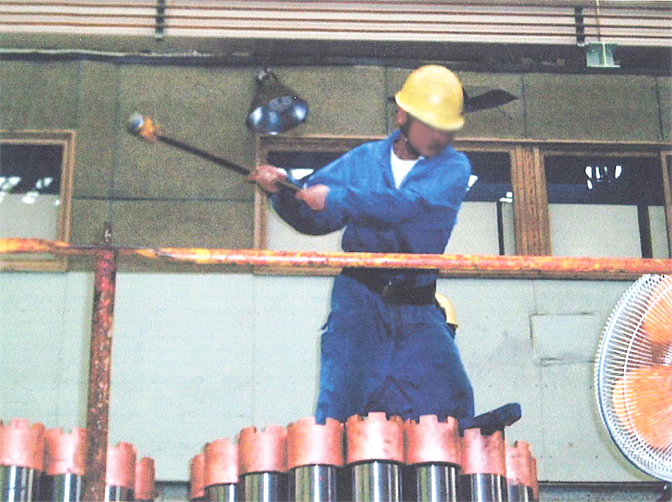 For this reason, reality is the fact sometimes that the use of a hydraulic wrench is prohibited in assembly and disassembly works at important equipment. To solve this problem, there are traditional tools such as bolt tensioner (hydraulic tensioner) and hydraulic nut, but they will not be always convenient in the narrow section as well. We recommend "Tension Nut" for solution. Because it is static tightening, it does not damage the threads and the axial tension in the bolt is very certain. 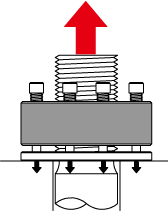 Hydraulic wrench and bolt tensioner are unnecessary for tightening / loosening. As a matter of course, it is very free from hammer tapping.